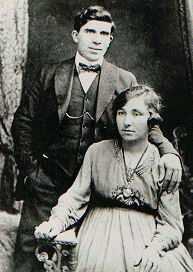 Peter (Bedros) Vosbikian immigrated from Armenia to America circa 1913. Shortly after, his brother & future wife followed. In 1919 he partnered with his brother Thomas and founded the Vasbikian Brothers Company in Philadelphia, Pa. In 1950, Peter invented the patented Automatic Sponge Mop. From this, the Quickie Manufacturing Company was born. Peter Vosbikian died on February 8, 1971.